Home Decor, Cards, Layouts, Kids Crafts...this Chunky Twine is perfect for any of those! It has the look of your traditional twine but is thicker which makes it easier to work with on projects like the one I'm sharing today! 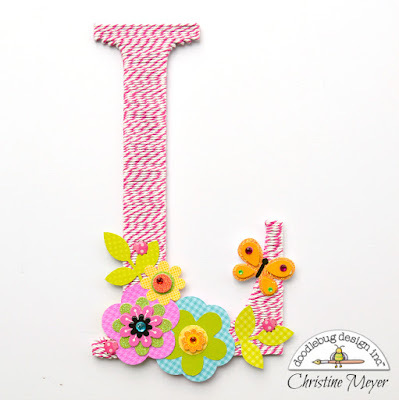 Christine joining you to share a Monogram wrapped up with Chunky Twine. Now I know what you're thinking, holy moly Christine that had to be really messy and sticky to make! But I'm happy to report with this new Chunky Twine a job like this is a lot less challenging! I started with a chipboard monogram letter. I then used a quick dry liquid adhesive and worked on about an inch at a time. I have attempted this before with traditional sized twine and embroidery flosses and it was a mess with sticky glue everywhere that pretty much ruined the project. Not the case here! After I finished wrapping it I secured the back side with some additional glue and tape. Then it was time to decorate! 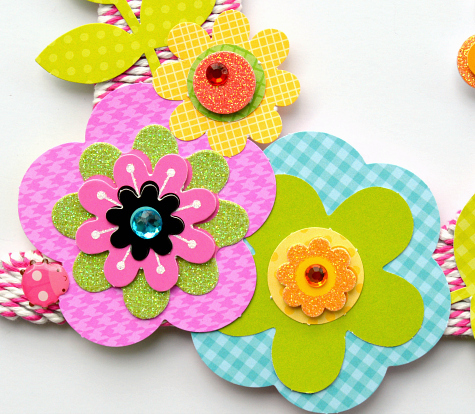 I used some flowers from the Spring Garden Craft Kit as well as some various Flower Doodlepops! Sweet little Ladybug Sprinkles added a different texture and upped the cuteness! 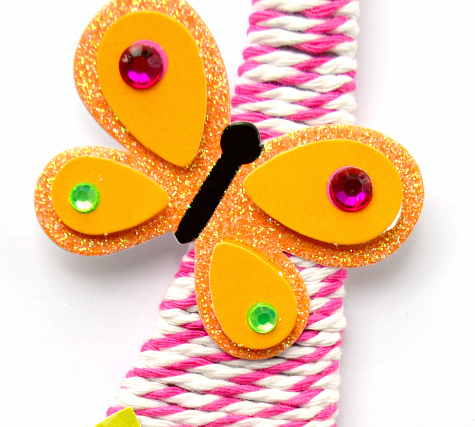 You can't go wrong with a Butterfly Doodlepop like this one! It got it's own little special spot on the Monogram. Our family is going to be moving to a new home soon and I just know this will be a perfect piece for my little girl's brand new bedroom! This is such a great idea Christine! So cute! This wonderfully CUTE and so super well done!! Makes me want to do a Bumblebee colored T!! 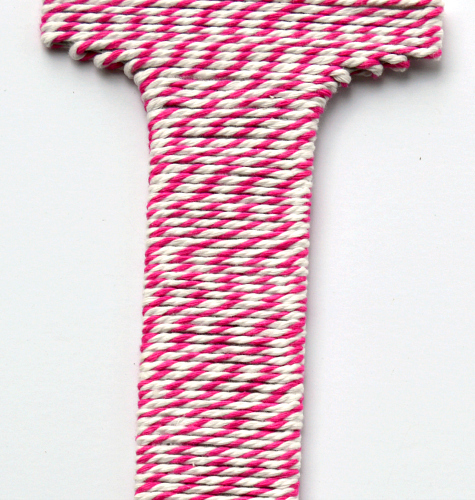 Love this new chunky twine! !